Xi is a doctoral student at the Environmental Change Institute (ECI) and the Senior Wai Seng Scholar at the Asian Studies Centre, University of Oxford. 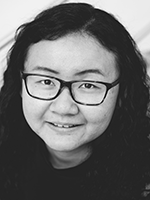 Her research focuses on understanding the infrastructure development process in China, how the Chinese infrastructure system is vulnerable to climate change impacts such as flooding and droughts and what the adaptation implications are for policy makers. During her PhD, she has consulted for the Latin American Energy Organisation; worked as an energy modeller for the UK Infrastructure Transitions Research Consortium; interned as a climate adaptation researcher with the Chinese National Development and Reform Commission; and facilitated dialogues between Oxford and government agencies such as the Chinese Ministry of Water Resources. Her research has been featured at the World Economic Forum Summer Davos in 2017 and presented at numerous conferences relating to infrastructure, including the Fifth GGKP Annual Conference on Sustainable Infrastructure, the International Symposium for Next Generation Infrastructure and the Second International Conference on Vulnerability and Risk Analysis and Management. In 2015, she co-founded the Oxford International Infrastructure Consortium (OXIIC) that aims to facilitate communication and collaboration on infrastructure between academics, policymakers and practitioners worldwide. So far, OXIIC has held two global conferences on infrastructure that gathered more than 40 world's leading infrastructure experts with 350 attendees (http://www.oxiic.org). Representatives included the newly established Asian Infrastructure Investment Bank (AIIB), the World Bank, OECD, the G20 Investment and Infrastructure Working Group, the Turkish Treasury, the Inter-American Development Bank and the Asian Development Bank. Before joining Oxford, Xi conducted policy research at the Chinese Ministry of the Environment and Ministry of Land and Resources on both domestic and global levels. She also interned at the International Finance Corporation (IFC) on Sino-African relations, the UK-India Business Council on corporate social responsibility, and worked as an analyst at Legal & General on investing in China. Xi holds a BSc in Environmental Policy with Economics and an MSc in Environmental Economics and Climate Change from the London School of Economics. China is historically prone to flooding and droughts. In particular, its infrastructure system is often hard hit by these events. Climate change and the rapid rate of infrastructure development over the past few decades are expected to increase the vulnerability of the system to the impacts of these hazards. Understanding the nature of this vulnerability in the context of climate change is crucial for adaptation decision making. The objective of this research is to understand the vulnerability of the Chinese infrastructure system to flooding and drought impacts and assess its adaptation implications. The research will take a risk-based approach to examine first the changing vulnerability of the infrastructure system to flooding and droughts, focusing both on the direct and indirect impacts of these hazards. Secondly, this risk-based approach will provide a foundation for assessing the adaptation implications as longer term scenario analysis is used to examine how the risks will change in the future due to climate change.